Staff Sergeant Marco A. Muñoz plays alto saxophone in the Band of the US Air Force Reserve Concert Band and Ceremonial Band. He also plays tenor sax for the Jazz Ensemble and is the Operations Representative for that group. Sergeant Muñoz also serves as a music arranger for the Band. Born and raised in San Juan, Puerto Rico, SSgt Muñoz graduated from Escuela Libre de Música Ernesto Ramos Antonini in Hato Rey, Puerto Rico in 1986. He continued his musical studies at Berklee College of Music in Boston, where he completed his bachelor's degree in Commercial Arranging in 1990. After that he continued studies at Full Sail Center for the Recording Arts in Orlando as a recording engineer. Prior to his enlistment, Sergeant Muñoz worked in his native Puerto Rico as one of the first call studio musicians with producers such as Martin Nieves, Franky Suarez and Pepe Ojeda. Sergeant Muñoz has also toured and performed with artists such as Glenn Monroig, Wilkins, Luis Enrique, Ricky Martin, Arjona, Emmanuel, Alejandra Guzmán, Thalia, Cristian Castro, Enrique Iglesias, and Myriam Hernandez, among others. In 2000 he began his Air Force career as an aircraft mechanic. 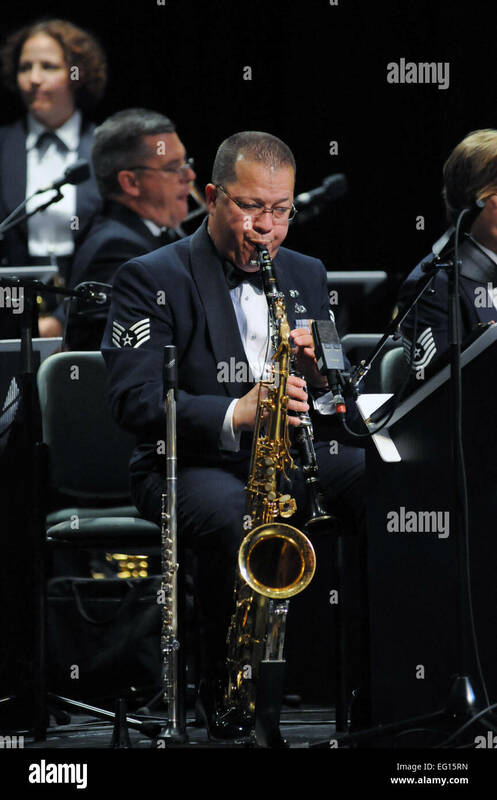 After almost 8 years working on F-16s, he cross-trained into his current active duty assignment with the Band, where he has been featured as a soloist with the Concert Band and the Jazz Ensemble. In January 2010, the Concert Band premiered "It's not just something to hit", an original piece composed by Sergeant Muñoz featuring latin-american percussion.